Africa Program Manager Adaobi Egboka investigated opportunities for pro bono development and the Power Africa Legal Fellows Program in a recent visit to Nigeria and Ghana, accompanied to Ghana by Ted Maynard, chair of the Vance Center Committee and Paul Weiss partner. Egboka and Maynard met with Ghanaian law firms Bentsi – Enchill, Reindorf Chambers, ENS Africa-Ghana, and others to understand Ghana’s legal landscape and introduce the Africa/ Power Africa Legal Fellows Program, as well as the Vance Center’s pro bono programs. The firms expressed strong interest and undertook to consider nominating associates for the fellows program. Cynthia Ouarcoo, managing partner at CQ Legal & Consulting in Ghana, said that she has long looked for this type of opportunity for young lawyers in Ghana and requested the Vance Center to think of bringing young lawyers from New York to spend time in Ghana for a fully collaborative legal exchange program. 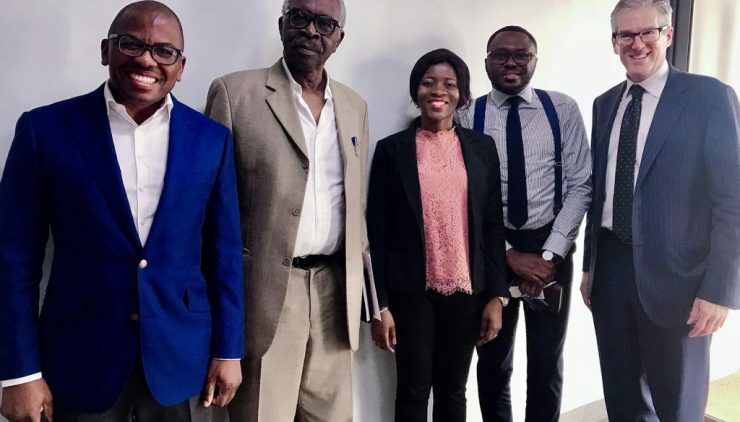 Egboka and Maynard also met with various civil society organizations, including the Ghana Center for Democratic Development and Care International Ghana, to explore pro bono representation, as part of the development of pro bono practice in Ghana. The Vance Center supports law firms to undertake and institutionalize pro bono practice and simultaneously engages NGOs as clients for those law firms and others in the Vance Center’s global network. Egboka also maintained the Vance Center’s relationships with Africa Legal Fellows alumni from Nigeria, and a law firm where a current Nigerian fellow in New York works. 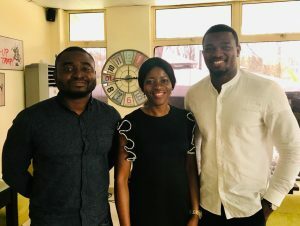 The alumni, Joba Akinola and Ope Osinubi, updated her on their activities and plans, including setting up an alumni network in Nigeria. Lotanna Nwodo’s colleagues at Aluko & Oyebode appreciated hearing about his progress as a Power Africa Legal Fellow at Sullivan and Cromwell. 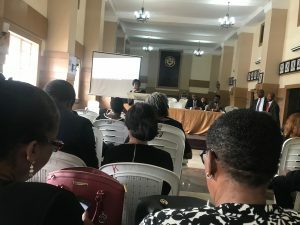 In addition to the law firms, Egboka presented the pro bono work of the Vance Center to the Lagos branch of the Nigerian Bar Association during its monthly meeting. Chukwuka Ikwuazom, the president, and other members expressed great interest to work with the Vance Center in promoting pro bono practice and developing a mentorship program. Egboka also met with the NGOs Women’s Rights and Health Project and International Centre for Advocacy on the Right to Health (ICARH) in Nigeria. The Vance Center’s Women in the Profession program was interesting to many female partners in most of the law firms in Nigeria and Ghana, as well as the Ghana Bar Association Female Forum Chairperson, Sheila Minkah- Premo. The WIP program seeks to improve opportunities and conditions for women in the legal profession and has had great success in Latin America. Egboka plans a similar visit to Kenya and Ethiopia later this year to pursue further partnerships. Note: The Power Africa Legal Fellows Programs focuses on bringing leading lawyers practicing energy law in African law firms to work for up to one year in New York law firms where the Fellows can gain experience and contacts in international energy law. This program advances a key pillar of Power Africa’s strategy to strengthen the overall enabling environment of the African energy sector through policy and regulatory reforms. This also includes helping to fill critical skills gaps such as developing local legal support to help negotiate and close energy transactions. The Power Africa Legal Fellows Program is made possible by the generous support of the American people through the United States Agency for International Development (USAID) and Power Africa.